If you’re someone who loves to buy presents on a deadline, then you’ve come to the right place for some last-minute tech-tips! Or maybe you’ve already done all your Christmas shopping and you just want to check out some cool products? Guess what? You’ve come to the right place as well! Let’s get started! The Evo Wallet case for iPhone X is a very sturdy case with nice design. In fact, it’s more a wallet (as the name states) than a real case, so you can put your credit cards in there as well. Looks good, is sturdy and fits well. If you want some more protection for your new shiny – $1,000-phone -, the screen protector from Tech 21 is very neat. It’s anti-glare, you get a fitting case in the box and it protects your (almost) bezel-less screen! 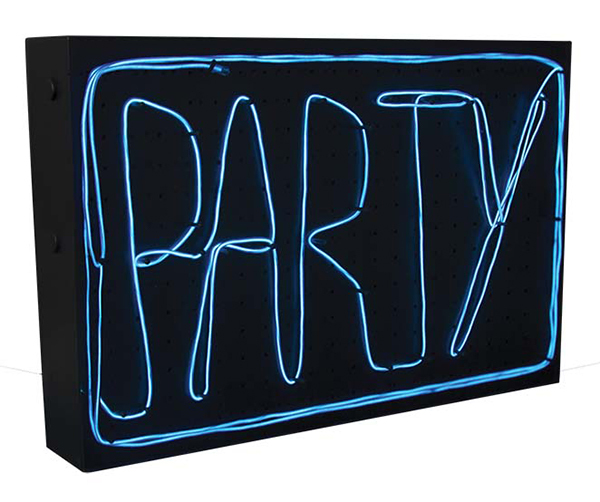 Who doesn’t love neon lights? The cool thing about these is that you can personalize them! To be honest, you have to be a pretty good artist to make it look like something, but it’s a cool gift for under the Christmas Tree! You ever wanted to know what’s inside your body? Where your heart really is? And what your liver actually does? With the Virtuali-Tee, you get to know yourself… on the inside. It works like some kind of QR code. 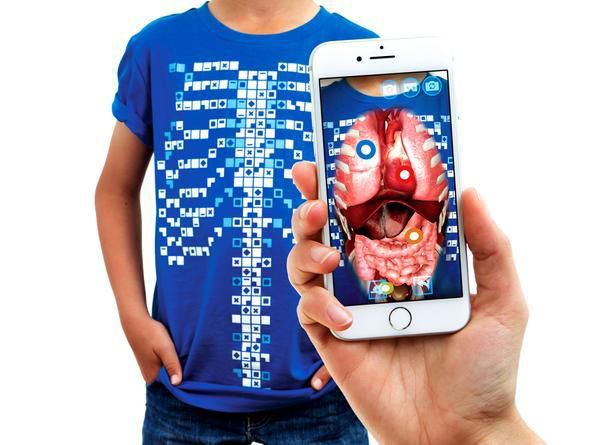 There are some weird shapes printed on the t shirt, and when you use the app, it maps those shapes to certain parts of your insides. You can use the front facing camera or the back facing camera. It’s pretty neat and weird to see everything inside your body. A bit creepy actually, but you’ll learn a lot about yourself! I had some problems with the app on the VRkit, but have to say I’m pretty impressed overall. If the app would be a bit more stable, this would be a top-notch product, but with some updates it will probably be in the future. You get some kind of automatic spinner, which is used to turn your phone 180°. In the box, there’s also a fisheye lens that you use when the phone is turning and making the VR picture. After everything is done, you have a perfect VR-experience on the app of your phone. ‘Tech Will Save Us’, it’s a name that I live by and the Bright Creatures Kit is very cool for kids who want to start learning some electricity and circuits. It works with dough and you just have to connect the ‘+’ and ‘-‘ to make the thing move, play music or make creatures that light up! It’s fairly simple, but you need to have a bit of creativity to make your creatures work. This is one I was most excited for. If you’re into video making or audio, you’ve probably already heard from the Blue Yeti microphone. 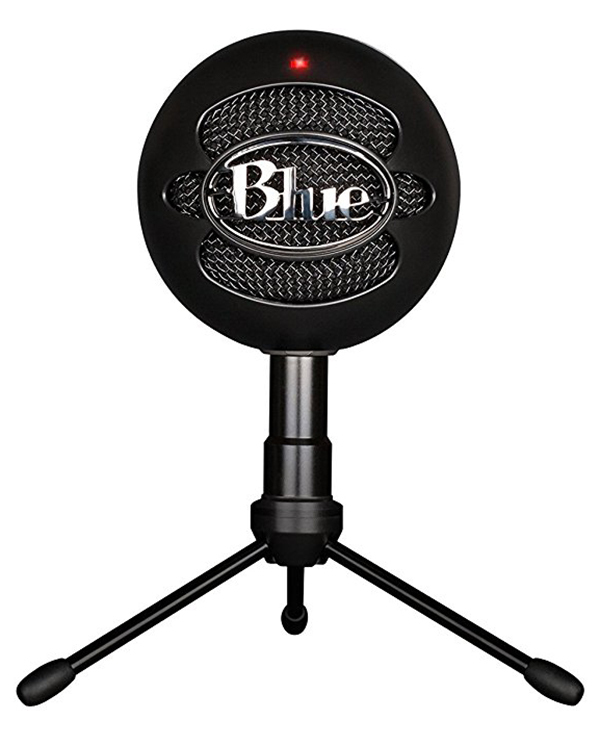 The Blue Snowball Ice is fairly smaller than the Yeti, but doesn’t sound worse. At all! It’s a USB microphone with a lot of power and great clear sound. It’s perfect for voice-overs, because your voice sounds very warm and full, or you can use it to record music. The Jimu Tankbot is a pretty neat robot, again designed for kids with ‘STEM‘ in mind. It has a LOT of parts and I didn’t get to install it in the video. It does look like a very professional and quality robot with different features and perfect for kids who want to learn STEM! 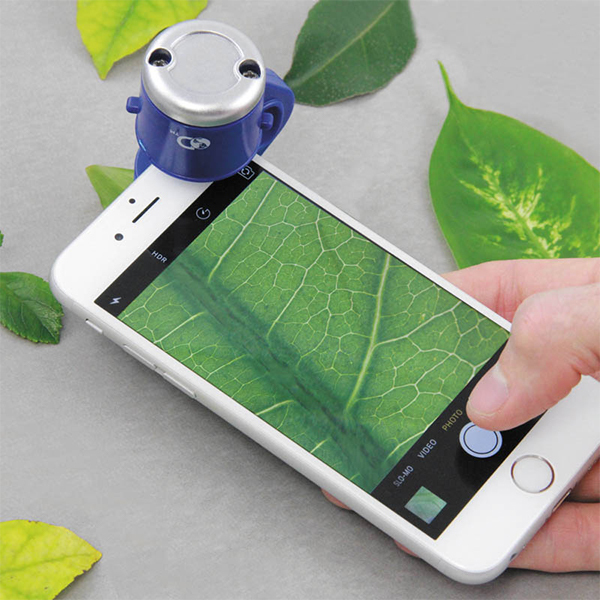 It’s called a Zoom Lens, but it’s actually a Phone Microscope! This is a very cheap product, but it was the product I was most impressed about. It’s very easy to use and works well. You just clip on the lens (which has a built in light) and you zoom your phone completely in. Then you place the lens on top of the object you want to enlarge and you’ll see some crazy things! Do you know someone who loses his stuff a lot? Then the Tile Sport might be the solution. It’s a small tracker with a well built app and it’s water resistant as well! If you’re still reading this, fantastic! I would love if you could check out our video on this and let us know what you think! It will give you good Christmas-Karma!